Quitting is a regret that can haunt you for many years! I wanted to give you some inspiration about NOT quitting and the regret that can come with quitting. It’s so much easier to quit sometimes than it is to stay in the battle and keep pressing forward. However, making the decision to quit can haunt you with regret that stays with you long after you made that initial decision. 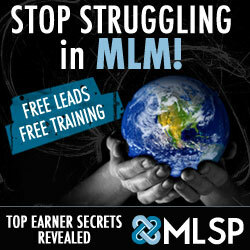 I know that there were many times in my home based business career early on that I wanted to quit. But I’m glad I didn’t. Just thinking about the tens of thousands of people that I wouldn’t have been able to affect would have left a regret that I would have had to carry with me. 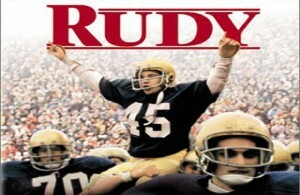 I want to show you a clip of the movie “Rudy”. It’s one of my favorite inspirational movies. This is a great scene of how Rudy almost quit, but his friend Fortune talked about his own personal regret of quitting. When you are thinking about quitting in whatever you do, remember the decision to quit can haunt you with regret for many years to follow. 1) You don’t have to prove yourself to anyone. No matter what has happened in the past or the pressures from others. Don’t let the negative opinions of others steal your dreams or keep you from going after your dreams. 2) You only have to prove to yourself. Don’t compare yourself to others. Every day challenge yourself to beat your own BEST potential. Comparing your success to others success can actually be limiting you from being your absolute best. Set a standard to beat your best and not others! 3) Guard your attitude. A lot of success involves guarding your attitudes and philosophies. Make sure you always have a good one or if you slide for a moment with a negative thought then capture that thought and get back at it! 4) Don’t let others get the best of you. There will be many people on your journey that will try to derail you. They will tell you that you don’t have the education, experience, connections, resources, blah, blah, blah. Don’t listen to them! I’m sure you’ve never seen a statue in a park that was a whole committee. It’s up to you to create the future you desire. If it’s to be, it’s up to me! So before you decide to quit on yourself, your family, your business, your faith and your relationships please consider the pain of regret you could have for many years. 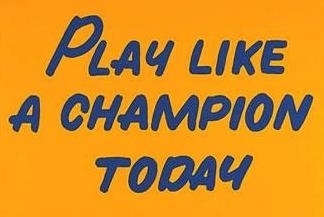 When times get tough, get tougher. When you need to grow, get better. When you think about quitting, fight just one more day. Enjoy the video! PS: I’m looking to train three people on how to create a substantial online income with just a computer and the internet, reply back if you are open or interested.